Douglas Bader's Hurricane leads the Duxford (Big Wing) into action high above London on the 15th September 1940. 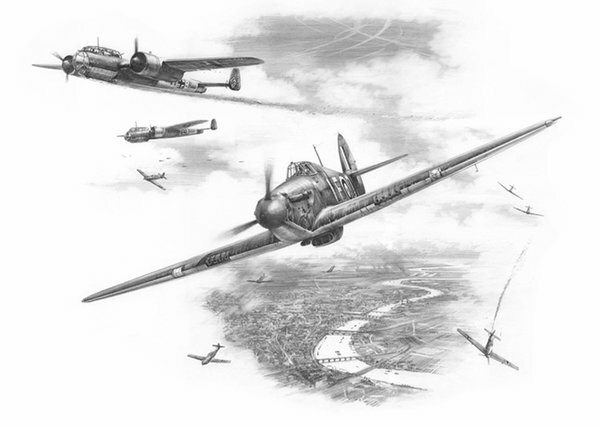 The Big Wing joined up with many aircraft from 11 Group to form the largest concentration of RAF fighters ever seen over London they set about the German invaders with such vigour and effectiveness that the date would be for evermore commemorated as 'Battle of Britain Day'. 10 Battle of Britain Fighter Pilots.